Congatulations to Chloe,Will, Reuben, Basia and Tom for completing there PADI Openwater diver training. look forward to diving with you again soon. Congratulations to Caitlin, Brandon and Leo for completing there PADI Rescue Diver course. The course was of fun and effort for all students. We had a seal dive with the children at the end which made a perfect finish to the course. Congratulations to Tim Arun and Charlie on completion of there PADI Advanced Openwater course well done. Well done to Tim Charlie and Arun for completing there PADI Openwater Course. Look forward to taking you diving in the sea soon. Well done to Iwan and Harry for completing there PADI Rescue diver course. They are now Better, stronger and safer divers. Good Job. Congratulations to Leo and Josh for completing there PADI Openwater diver. The Adventure has just begun. Well done to Caitlin, Ford, Antony and Lee on completing the PADI Advanced Openwater diver in August. Welcome to Kitty, Millie, Amelia, Alex, Byron and Louis On joining the red seal team 2015. Congratulations to Chloe, Charlotte, Zeke and Jude on completing your PADI seal team member course. Well Done. Well done to Caitlin, Bethan, Ellie and Ford For completing there PADI Junior Openwater diver on 31st August 2014. Brilliant job. Thank you to Richard , Dorothy and DM John for all there help. And a big thanks to the Parents for there support. Getting up early and Cakes! Congratulations to Iwan. Harry and Jasmine for completing There PADI Dry suit Specialty diver Course. Well Done. All had great Dry diving day. Once a year I start a new group with the PADI seal team. The next starts on 27th September 2013. Limited spaces So please book early to secure your place. Look forward to hearing from you . Congratulations to all the team that Completed the Sea Survival course at Portland on 27th October. It was a fun day with important learning taking place about respect for our seas. Included a trip to Life boat station Thanks to Weymouth RNLI for there help. Congratulations to Dorothy for completing Dry sit diver course. I think Dorothy like to be warm and dry. Congratulations to Josh, Brandon and Dominic. They Successfully Completed there PADI Junior Openwater Diver certifictation at Brixham. Well done boys. Congratulations to our new Advanced Openwater divers: Gabbie , Sophie. Laura, Dorothy, Josh, Richard and Ciaran. All Had a great Day at Vobster Quay completing Deep dives and a great dive around the Aeroplane. Well Done we look forward to many more dive adventures with you all in the Future.A big THANKS to steph for her brilliant help making the day run very smooth. PADI has just exciting new Project aware site. Please Join to join forces and help save our seas oceans and planet. We had a great day in Bristol harbour. All had a turn of driving the boat. Waved to everybody. Learn basic boat safety. Thank you all for coming. Will make this a regular event. Please check out our prices for dry suit repairs by clicking on above picture link. You can contact me for all your scuba equipment servicing enquiries. I will do my very best to give you the best service possible. Pick up and delivery service offered at no extra cost within a reasonable distance. Quick turn around. 20 years servicing experience. Congratulaions to Gabbie, Richard and Josh for successful completion of the PADI Navigation dive. They all did very well, increasing there dive skills with working as a buddy team and group, Compass skills and Bouyancy control. A big thanks to Amanda for stepping in the last minute to be my assistant. All in all a great day with good visability! Congratulation to Ciaran, Sophie, Laura and Dorothy for completing The PADI Navigation dive Towards there PADI Advanced Openwater. Navigation is such an important skill and they all are able to Navigate the Square, straight line and more. Well Done. Congratulations to Gabbie, Sophie, Ciaran and Richard of the Orange team. They are all now Junior Open Water divers. They all did brilliant. Well done. Thanks to Instructor Sammy and Skipper Carla for all there help. We are now at Portishead Open Air pool from Monday 19th July 2010. Please let us know if you woukd like to join us for try dives, pool parties and PADI courses. I have a a few complete sets of as new but used dive Equipment for sale. All serviced and ready to go at very good Prices. Also interested to purchase your unwanted dive Equipment. Pleaee get in contact to find out more details. Congratulations to Matt and Greg who completed there Powerboat level one and two at Portland. Was a great few days on the Sea. Welcome to the new Yellow Seal team, William, Jack and James. Welcome to the new Green Team, Iwan, Brandon, Luke, Marcus and Michael. Kingswood leisure centre will be closed this year for a minimum of 12 weeks starting from 2nd August. Well done Rachel for Completing the PADI Advanced Open Water Course. Rachel completed Dives off the South coast from Portland, Vobster Quay and Chepstow NDAC as well as Majorca. Giving her a wide range of Diving Experiences and adventures. Well done Caroline and Ben on successful completion of your RYA Powerboat course. Lots more fun over the weekend with great weather for the course. Sunshine and a nice breeze. The Orange seal team Got together in Lulworth cove on 23rd August. Great time had by all, Snorkelling, Boat handling. Orange team: Sophie, Gaby, Richard. Ciaron and young Domonic from Red seal team. Thanks to Carla for all her help. Muito Obrigado Carla . Great day's diving in Portland on 2nd August. Amanda and Warren found the Toilett, Head on the Countess and an excellent drift dive had by all from Church Ope Cove north to Grove Point. Weather was very nice, sunny and only light winds. Thank you all for coming. Welcome to our new Red Sea team, Thais, Finnlay, Josh, Dominic, Kristian. and Joshua. Just started The PADI seal team. Aquamission one last night 17th July. Well done all of you. Join us exploring the Jurassic coast. Look on trips and Events page. 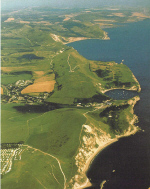 Great Dives, Warm sea's got between 15 and 17 degrees C. Vis was fantastic, 10m plus at Durdle door. Thank you for coming. Great time had by all. Look forward to seeing you all again. 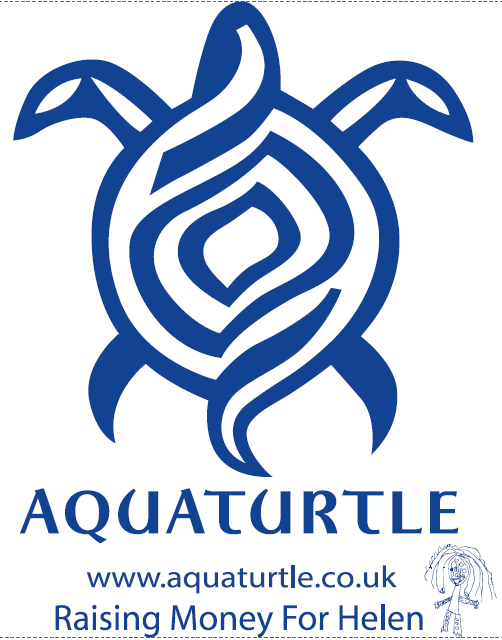 Aquaturtle Has a new Logo. We have Backpacks ready to sell. Also will have teeshirts, hats and everything you can imagine with Logo's on.